As the Junior League of Seattle celebrates its 90th anniversary this year, we’re looking back at the year we were founded. The year 1924 was a Leap Year. 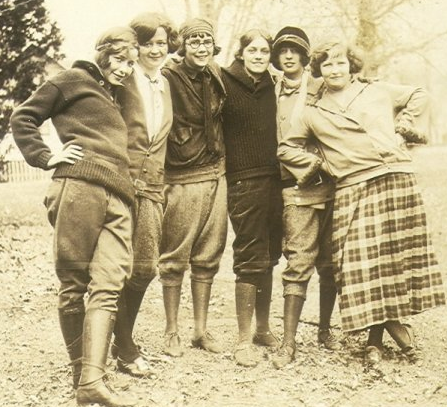 Calvin Coolidge was president, women were bobbing their hair and wearing hats (think flappers!) and prohibition was in full swing. The first Macy’s Thanksgiving Day Parade was held in New York City on Nov. 27. Gas was 11 cents per gallon! A movie ticket was 15 cents and the average cost of rent was $18 per month. Favorite tunes of the time included “Everybody Loves my Baby” by the Georgians and Gershwin’s “Rhapsody in Blue.” “Thief of Bagdad” was a film hit. The Washington Senators were World Series champs, beating the New York Giants in seven games. The Junior League of Seattle will be celebrating 90 years of community impact April 5 with service shifts in the community during our annual Impact Day, followed by an evening party at the Museum of Flight. We hope to see you there!